In Death Lamented: The Tradition of Anglo-American Mourning Jewelry 17th to 19th Centuries is a current exhibit at the Massachusetts Historical Society in Boston, Massachusetts. The exhibit explores the way memorial jewelry was worn through the centuries. Marian Pierre-Louis will be discussing the exhibit with curator Sarah Nehama during the January 3, 2013 episode of Fieldstone Common. The exhibit runs from now until January 31, 2013. 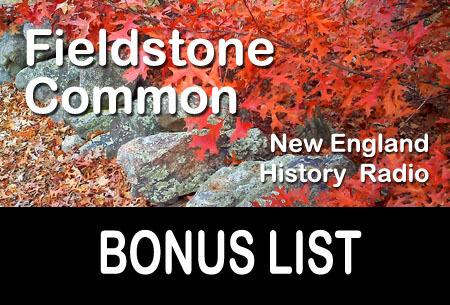 Instead of waiting for the Fieldstone Common show, go see the exhibit now. See first hand all the pieces that Sarah Nehama will be discussing. I’ll be heading over in November to see it myself. Drop me a line if you’d like would like to join me.